History, culture and architecture all merge in the capital of Britain to create the nation’s most renowned city. There’s nowhere quite like London; the capital twins a fascinating history with a compelling modern culture seamlessly, creating a city loved by millions. There are also world-class entertainment facilities, with every shop you could ever think of, restaurants to cater for any palate and bars serving any concoction imaginable. You name it, you’ll probably find it in London. Backpacking London is an unforgettable experience – you’ll get to see the highlights of the city’s history, its arts and music scene, and enjoy a tasty dinner and a few drinks with your new travel mates. And visiting London on a budget is completely possible – although many people will tell you otherwise. It is true that London is expensive – compared to the north of England, drinks can cost four times as more, meals double the price, accommodation two to three times the price. Don’t get me started on the housing market… luckily that’s not something that you’ll have to worry about if you’re just in London for a short trip! This being said, there are some great London travel hacks that can really help you save money in the British capital. I lived in London for the first 18 years of my life, visited regularly while I was at uni in Bristol and have recently spent another 5 months back there. 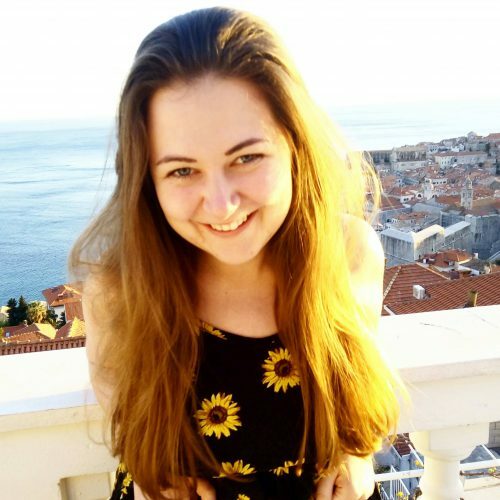 I’ve never had much money – I’ve either been a student, on a low internship wage or a freelancer – so if you’re after someone who knows all about the cheapest things to do in London, read on. I thought I’d make this guide to backpacking in London for any travellers who are visiting London for the first time. Our capital’s expensive, but there are plenty of cheap or even free things to do in London! So if you’re travelling Europe on a budget, do not fret. Here are my finest tips for seeing the very best of London on a budget. If you’re flying in, you’ll reach one of London’s five airports. These are Gatwick, Heathrow, Stansted, Luton and London City. Gatwick serves both long and short haul routes, some with EasyJet – a budget airline that flies around Europe. Norwegian Air also serve Gatwick and fly to long-haul destinations around the globe, from Singapore to Chicago! It’s easy to get from Gatwick to the centre; just take the Gatwick Express from the airport to London Victoria Station and you’re right in the thick of it. Heathrow is west of London and serves mainly long-haul flights. If you’re flying from the Americas or Asia you’ll likely fly into Heathrow. 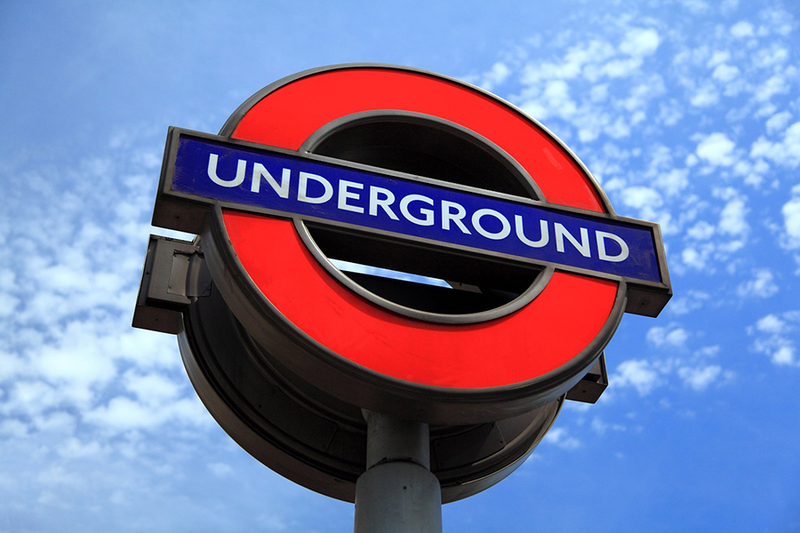 Heathrow is on the Piccadilly line – which stops at Piccadilly Circus and Covent Garden in the heart of London. 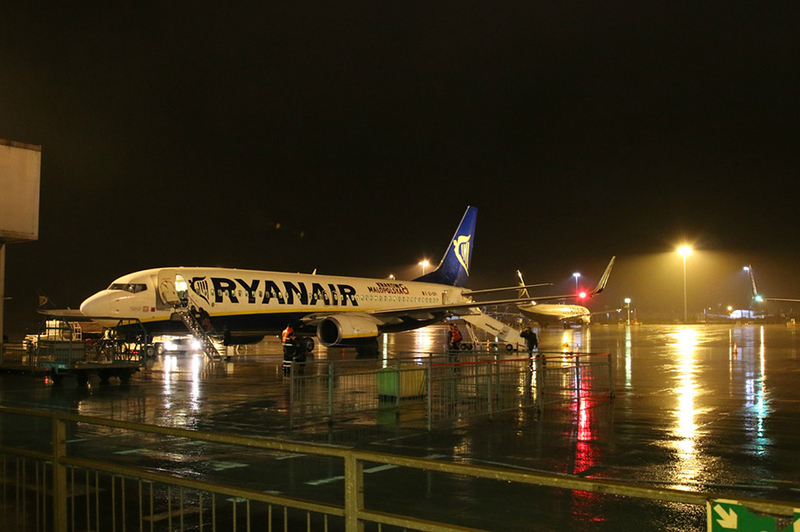 Stansted is north of London, as is served by many low-cost carriers for short haul flights; RyanAir’s hub is here. To reach central London from Stansted Airport, take the Stansted Express to London Liverpool Street or a National Express coach to London Victoria Station (the coach is cheaper, but the train is faster and more comfortable). Luton is even further north of London (I begrudge the fact that it’s classed as a London airport, it’s miles away). Budget RyanAir flights also service this airport. To reach the city from Luton you first have to take a shuttle bus to Luton Airport Parkway from which trains leave to St Pancras International. London City mainly serves business travellers, so you’ll likely only fly into this airport If you’re flying from somewhere like Zurich, a business hub. Often, people fly from London City over to Zurich just for a meeting! I once ended up changing planes in Zurich after a festival in Croatia. I hadn’t showered in 5 days, had barely slept and looked an absolute wreck and was sharing the plane with 50 suited businesspeople. Needless to say, I wasn’t the most popular person on that flight! If you do happen to be flying into London City Airport at the start of your backpacking London trip, reach the centre of London by taking the DLR, which services Bank station in the centre. From here, you can change to the underground. If you’re travelling from north France, the cheapest option may be to take the ferry from France to England. From Calais, you can use the ferry as a foot passenger. After disembarking at Dover trains leave to London Victoria, Charing Cross or high speed to St Pancras. Another option is to take the Eurostar. This sometimes isn’t the most budget friendly of options but it’s comfortable and fast. Trains leave from north France and Belgium to St Pancras International. If you’re getting the train around Europe, the Eurostar is an easy add on. Coaches from many destinations in Europe – I’ve seen some departing for Riga in Latvia and south Italy before – leave from London Victoria Coach Station. 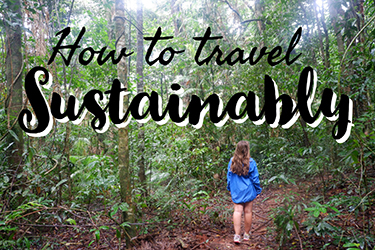 These are often the cheapest ways to reach other European cities, and are more sustainable than taking short flights. If you’re already in the UK, the most budget-friendly option to reach London is to take the Megabus or national express coach. Normally, the Megabus is the cheapest – with fares as low as one pound – but sometimes the national express has good deals and it serves more places than the Megabus. 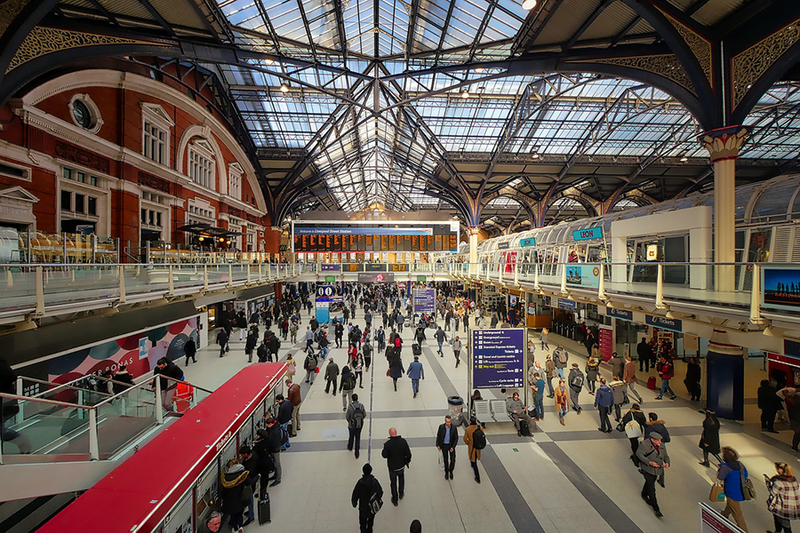 Coaches get in to London Victoria Coach Station – from here it is a five minute walk to the train and underground station. You can also take the train to London from most major cities and hundreds of towns near London – but beware, trains in the UK have a reputation for being notoriously expensive, especially if you’re coming from the north! However, if you’re travelling from a closer city – like Oxford or Birmingham – the train is an affordable option. If you’re keen to join the ranks of the thousands of people complaining daily about great British traffic, car rental is also a possibility and widely available throughout the capital and airport with Heathrow Airport being the most popular rental location. Sitting in traffic for hours on end may be aggravating, but it can’t be denied that it’s an authentic British experience! All jokes aside, a car is a good way to see some rural areas that are difficult to reach by train, but if you’re sticking to the cities, I’d recommend just taking public transport – you won’t want to be driving around London anyway. Also, if you are thinking of renting a car while you’re backpacking London, remember that there is very little parking in the city and if you do find it, you might have to take out a loan to cover the costs. If you are renting a car to see other spots of the UK, I’d recommend staying out of the city centre where you can park. There’s a little bit more about car rental in the UK later in this post! Your first purchase when you reach London should be an oyster card. These nifty little pieces of plastic will serve all your transport needs in and around the capital – with one of these, London is your oyster! 😉 They cost £5 but they can be cashed in upon leaving. You can top your oyster card up using cash or card and every time you use a tube, bus or over ground train, just tap on. The fares vary depending on where you travel in London and how many zones you cross. However, your expenditure gets capped at £12.50 each day, so it’s great if you’re making lots of journeys and travelling through different zones. Using your oyster card works out a lot cheaper than buying day travel cards or individual tickets, which is the other London transport option. This being said, London is surprisingly walkable, and because using the tubes can add up, walking when possible is an easy way to see the city without spending a ton. There’s something fun on every street corner in central London, and when you factor in waiting time sometimes it’s actually quicker to walk from place to place than taking the tube. 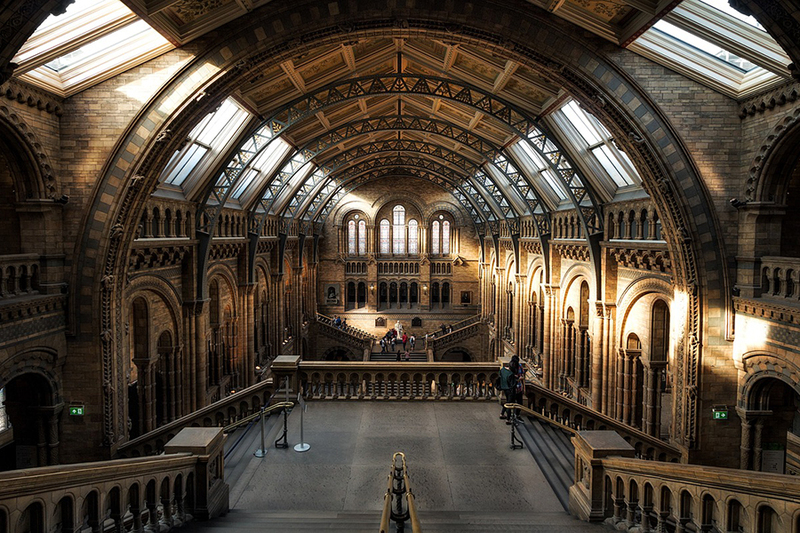 Natural History Museum – every London kid remembers their school trip to the national history museum – I went at least twice, maybe three times, plus multiple times with my family. There’s some great permanent exhibits, including huge dinosaur models and an earthquake simulator. Victoria and Albert Museum – more affectionately known as the V&A, this museum hosts a whole range of items, with some of the best art and design exhibits in the world. Imperial War Museum – even though I’m a stout pacifist, I find war history very important to learn about –mainly so we don’t repeat the same mistakes. The imperial war museum educates visitors on the many wars that Britain has been involved in. Museum of London – as you might have guessed, this museum is about…. All things London! Visit to learn about the history of the nation’s capital. National Gallery – home to over 2000 works of art, including da Vinci, Van Gogh and Picasso originals, this is a must-visit for any art fans. Science Museum – a fantastic hands-on museum with various interactive exhibits, the Science Museum is a fantastic place to learn about all things technical and biological, both historic and contemporary. The British Museum – the first national public museum in the world, the British Museum tells thousands of tales about human history and culture, with exhibits from all corners of the globe. Despite London’s persistence to rain at least 85% of the year (fyi: not accurate statistics), outdoor markets are fairly popular. So take pack yer brolly, and see what these have to offer. If the rain puts too much of a dampener on things ,there are some under cover markets in the city as well. Camden Market – one of the best markets in the city, Camden is great for finding anything weird and wonderful. The markets have quirky souvenirs, and there are some great world food stalls. Camden’s a really fun area to walk around in due to its scenic canals and alternative vibe. Portobello Road – an antique market to conquer them all, Portobello Market is the most fascinating place to window shop – not many backpackers in London will be buying the antiques, but it’s a great spot to browse nonetheless. Borough Market – this popular food market has a great atmosphere; buy supplies for a picnic or browse the marketplace to enjoy the buzzing vibe. I make it sound like it rains all the time in London (our third favourite pastime is talking about how much it rains – our first and second are drinking tea and queuing), but sometimes we get a rare glimpse of that firery ball in the sky. If you’re visiting during late spring or summer, you might be lucky enough to have enough sun to enjoy a park. If you’re not; well parks can still be fun in the rain, right? Greenwich Park – a little way out of the centre, take the DLR to Greenwich and enjoy a spectacular view of the city from the park. Greenwich is also home to the Cutty Sark, lots of fun bars and restaurants and the GMT line. Hyde Park – home to fountains, lakes, waterside cafes and lots of green space, Hyde Park is a great spot to get some fresh air in the middle of London, and the perfect hang-out or picnic place on a warm day. St James’s Park – in close proximity to Buckingham Palace, St James’s Park is a wonderful place to go for a stroll. Home to beautiful flower beds, impressive fountains and surrounded by spectacular architecture, St James’s Park really is the essence of London. There are quite a few Harry Potter locations around London that were either used as filming sites or as inspiration for the books and films. Thus doing a self-guided Harry Potter tour is a really popular option for those backpacking London! Platform 9 ¾ at King’s Cross Station. The outside of St Pancras Station. Leadenhall Market – this is Diagon Alley/ the Leaky Cauldron. Borough Market – this was another filming spot for Diagon Alley/ the Leaky Cauldron. Millennium Bridge – used as the site of a death eater attack in Harry Potter and the Half Blood Prince. Australia House – the interior of this building is used as Gringotts bank – you’re not allowed into the room, but if you ask a guard nicely you might be allowed to peek through the window. Lincoln’s Inn Fields – this is said to be the inspiration for Grimmauld Place. Cecil Court – this is another street that is said to inspire Diagon Alley. Old Scotland Yard – used for Ministry of Magic exterior shots. If you’re backpacking London on a budget and want to get inside the houses of parliament for free, you can reserve tickets ahead for parliamentary debates. Organisation is key to attend these as the tickets often sell out – unsurprisingly, some quicker than others! So if you know your dates for your trip to London, think about booking tickets way ahead of your schedule. You can only go inside Buckingham Palace for two months of the year – the end of July to the end of September – and it costs a pretty penny. But year round, the change of the guards can be enjoyed. It takes place at 11am daily in the summer and every other day in the winter – although can get called off in the rain. I’d also venture to say it is much more iconic in the summer, as in the winter the guards wear black coats over their scarlet jackets. Check here for exact dates about when the guard change takes place to see if it coincides with your visit. The Ceremony of the Keys is a great way for those backpacking London to see the Tower of London for free. Like the parliamentary debates, it does get booked up very quickly – so if you know that this something you want to do, get it reserved ASAP. To enter the Tower of London on a normal day, it costs £22.70 if you book online before going – click here for the booking site. You’ll get the chance to learn first hand about the history of this fabled building and its many past lives (it was used as the Royal Mint, a jail and believe it or not, a zoo) and see the crown jewels. If your budget can stretch to it, it’s worth it for the novelty alone – it’s a one-of-a-kind type of building and the stories will leave you feeling chilled and enthralled. Normally St Paul’s Cathedral has a hefty price tag to visit, but if you attend a service, you can see the inside for free. Granted, you can’t explore at your own leisure and might not be able to work out the exact spot where Charles and Diana said I do – but you’ll be able to see a lot of it, for free! Obviously, remember that it’s a highly religious ceremony for people in there so to be respectful and quiet. Other free ways to see parts of St Paul’s Cathedral include visiting St Dunstan’s Chapel, which is left of the main church, is free to enter any time. This building was consecrated in 1699 and is an interesting place for a look around. Alternatively, you can see the Crypt for free from the shop/ restaurant area. To enter St Paul’s Cathedral when it is open to the public, you’ll have to fork out a fee – check out how much it will be here. If you have the money, it is worth it to see the amazing features of the building and learn about the many historical weddings, funerals and other events have taken place. BUT if you’re visiting London on a budget and are looking to save some pounds where possible, I think you’re better off seeing St Paul’s one of the free ways and saving your money for Westminster Abbey. Like visiting St Paul’s, if you enter Westminster Abbey during a service you won’t have to pay a penny. The downside is that you won’t be able to fully admire all of the memorials, the Coronation Chair and the ornate architecture of this legendary building. Click here to learn when the services are. If you do decide to bite the bullet and pay for Westminster Abbey, it will set you back £20 if you buy tickets online or £22 at the abbey. You’ll get the chance to see memorials to some of Britain’s most famous characters, including Elizabeth I,. It’s the site of the coronation of Kings and Queens to this day, and the Coronation Chair, which is out for display in the Abbey, is the oldest piece of furniture in Britain still used for its original purpose. You can see a lot by not spending a penny in London (I mean that literally, but that’s also a British phrase for ‘use the toilet’ – just so you know!) but these attractions below – plus maybe paying for a proper tour around Westminster Abbey/ St Paul’s Cathedral/ the Tower of London – are some of the best things to do while backpacking London. I’d recommend including the following to your itinerary for the city, even if you’ve only got 3 days in London (or less!). I love an open topped bus tour. Bring your brolly if you want to actually sit on the top (although it is dry sometimes in London, I promise!) and you’ll be whisked around all of the sites of the capital. I think it’s a great way to get to know the city and see where everything is in relation to each other – actually, I’d make it the first thing I’d do in the city. I haven’t tried this yet, but our friends Megabus have just started their own open-topped bus tour – which they are currently running at the princely fare of one pound per person – a great option for those backpacking London on a budget! There are dungeons all over the world, but the London Dungeons do a really great demonstration of the history of London, including eerie tales of serial killers like Jack the Ripper, the Plague and the Great Fire of London. The London Eye is Britain’s most popular paid-for attraction, and on a clear day, the views are spectacular – you can see 25 miles in any direction. The ride takes half an hour, and tickets are £26. You can save 10% if you book them online, and you miss out on part of the queue to the box office this way, but then are committed to a certain time slot. There are always queues to get on the London Eye – unless you buy a fast-track ticket, which start at £36. Or consider buying one of these tours which includes entrance to other attractions and some special extras. The Warner Bros Harry Potter Studio Tour is by no means the cheapest thing you’ll do in London – tickets start from around £40 – but it’s a fascinating place and a must-do for any Harry Potter fans. You get to see some amazing parts of the set including the Forbidden Forest, Diagon Alley, 4 Privet Drive and all over Hogwarts and learn about how the world of magic was animated. How much care goes into the finest detail absolutely fascinated me. If you want to book tickets with Warner Bros direct, you can click here – but be quick, they sell out in advance. To reach the studio tour, take a train from London Euston to Watford Junction, and then transfer to a shuttle bus to the attraction. If your dates are already sold out don’t fret – check out these tours that take you to the set and include transport and other extras. Covent Garden – right in the centre of London, this area lots of restaurants and bars, as well as street entertainers in the summer, make Covent Garden a great place to spend an evening. Southbank – a walk along the River Thames is a must-do when visiting London – the most iconic walk takes you from Westminster Bridge to Waterloo Bridge, with a view of City of Westminster and St Paul’s Cathedral on one side and London’s skyline on the other side. Walk further along the Thames, and you’ll be able to see Big Ben and the Houses of Parliament – and get right up close to them too. Soho – this area is filled with restaurants and bars (some of the budget restaurants I recommend later in this London budget travel guide are in soho! ), and has a classy, modern atmosphere. Greenwich – in the south east, Greenwich is a great suburb with a park, beautiful buildings, the famous Cutty Sark and plenty of places to grab a beverage. Reach it by taking the Docklands Light Railway from Bank. Shoreditch – London’s funky east, Shoreditch is somewhere to peruse street art and browse hip stores. It’s got a youthful population, but is popular with visitors of all ages. London Bridge – just a stone’s throw from London Bridge train station is London Bridge itself – but this isn’t the key attraction of the area. Down from London Bridge is Tower Bridge, a much more attractive crossing of the Thames. This iconic feature is a must-see when in the capital. Featuring free wifi and breakfast and an on-site travel shop, this hostel is located within an old courthouse – where the band ‘The Clash’ historically faced trial. The dorms are spacious, with each bunk offering some private space – perfect for those who are seeking a little solitude while staying in dorm rooms! For more information and to book click here. Another member of the ‘Clink’ chain, this is the oldest of the bunch. It’s a small backpacking hostel with a community feel; the hostel offers movie nights and a social atmosphere in this home away from home. It’s highly regarded for cleanliness and spacious dorms, and is in a central location, close to Kings Cross/ St Pancras Underground Station. For rates and to book click here. Located in an old police station, just a short walk from Covent Garden, Regents Park and the British Museum, Generator Hostel prides itself on being extremely British – with memorabilia like a red bus in the bar. This makes it a popular favourite for those backpacking London! The hostel offers dorm and private rooms, free wifi, a bar and a cafe, as well as a cinema room and a restaurant! For rates and to book click here. Located just a five minute walk from Paddington Station and right next to Edgware Road tube station, The Green Man offers free WiFi, 24 hour access, security bed screens, individual charging points and guest food and drink discounts. The on-site pub specialises in craft beer and gin, and takes their drink very seriously… making The Green Man a perfect place to stay if you want to participate in some British drinking! For more information and to book today click here. A fantastic location for Tower Bridge and the Tower of London, this backpackers hostel only recently opened its doors – but it used to be a hostel for sailors! You’ll have a comfy night in this hostel – it has ensuite bathrooms, USB outlets for each bed, free wifi and spacious common areas. Check here for more information and booking details. Funky Shoreditch is an awesome place for backpackers in London to hang out – and The Dictionary Hostel is nestled right in the heart of it. They offer stylish dorms with wooden floorboards and exposed brickwork, some of which are female only, and private rooms. They offer a free breakfast and 20% off food and drinks in their on-site bar. Click here for rates and booking information. For more information and to book, click here. Close to Kensington Palace and Wembley Arena, this hostel is ideal for those who want to stay out of the madness of the city centre, but be in a good location for all of London’s best attractions. The actual hostel features plenty of dorms – with some female only rooms and private rooms – a bar and restaurant on site (which will have drinks deals and cheaper eats than most places in London! ), free continental breakfast and free wifi access. Click here for more information. Offering different sized dorms (one which sleeps 28 – although each bed has curtains to give it privacy! ), on-site car parking, and a free continental breakfast, Palmers Lodge Swiss Cottage is located near the Swiss Cottage stop on the Jubilee line – which runs 24 hours at weekends. Its location is out of the busy city centre, but close enough to reach all the main attractions. Here’s more information and how to book. One of London’s most hip areas, Battersea and nearby Clapham are great locations for anyone who enjoys quirky cafes and vintage shopping. Staying at PubLove @ The Crown means that you’ll be right in the heart of all the action, while still very close to London’s main tourist attractions. The onsite pub is a great spot to socialise with both your fellow travellers and locals, and there is an award winning burger kitchen within the grounds. Each dorm room offers individual charging points, security bed screens and WiFi. The hostel is served by an impressive bus network and has three tube stations in walking distance, as well as two overground railway stations. Book your stay here. Located just south of the river, Safestay Elephant and Castle offers budget accomodation in close proximity to London’s main attractions. On site is a licensed bar, private garden and social areas, and the hostel offers private and dorm rooms. Shared dorms have curtains for privacy, and private rooms have french doors and a balcony. Every rooms is airy, light and spacious, with lockers to keep your belongings safe. Complimentary WiFi and use of toiletries is provided and a paid-for complimentary breakfast is offered. Elephant and Castle overground and tube station are a short walk away. Check rates and book your stay here. This homely guest house is located in North London, close to Totteridge & Whetstone Tube Station. Offering free WiFi, and with accomodating hosts, Ellipse is the ideal place to stay if you’re after some peace and quiet but are still on a budget. Check rates and book by following this link. Click here for rates and to book. Located in the classy area of Kensington and Chelsea – and excellent value for the neighbourhood – Notting Hill Bed and Breakfast is a short walk to Portbello Road Market and Royal Albert Hall, and is served well by buses and underground trains. The property is highly rated for cleanliness, and each room includes an en-suite bathroom and free WiFi. They also offer a full breakfast (vegetarian version available); perfect to fill up with before a day sightseeing! Click here for more details and to book. This West Hampton Guest House is located within a residential area, meaning that it is out of the city centre but still close to London’s attractions. Some rooms have en-suite bathrooms, and all guests can enjoy a delicious English breakfast each morning. The property offers free WiFi and a tea/ coffee maker and a TV in all rooms. Click here for more information and to book. There are plenty of Airbnb options in and around London – giving you your own space, often for cheaper than a hotel room. Use this code for money off your first booking! Like in all major cities, there are plenty of couch surfing opportunities in London. Remember to spend time with your host – they’ll be on couchsurfing to meet people, after all – and they should be able to show you some local secrets of London! British food isn’t the most exciting cuisine… but you should try it while you’re here, right?! Best Value Roast – The Crown and Anchor Brixton offers an affordable plate for around £12 – and they have vegetarian and vegan roasts as well. While we’re on that topic, here’s the best vegan and vegetarian roasts in London. Best Value Chippy – Family-run Sutton and Sons have restaurants in Islington, Hackney and Stoke Newington and also have a fully vegan menu. Best Value Fry Up – Many ‘greasy spoons’ will offer an English breakfast perfect for the one thing it was designed for – to cure a hangover. But if you’re after something a little more mouthwatering, check out the best cafes as deemed by the Londonist. Cafe Van Gogh in Brixton offers vegetarian and vegan breakfasts for around £8. Best Vegan Restaurant – By Chloe, located in Covent Garden, is an American vegan restaurant but their London branch has a ‘British Food’ section, which is all 100% plant-based. It’s a great place to stop if you’re vegetarian or vegan but still want to sample all of the flavours of Britain. Best Jacket Potato – The Potato Project in Soho serves up hot spuds with a range of toppings, starting at just £3.75. Wetherspoons – I went into a Wetherspoons for the first time in a couple of years the other day, and I couldn’t believe the prices – it’s like a happy little bubble where inflation has never hit. An avocado on toast breakfast was £2.60 and fry ups (vegetarian option comes with meat-free sausages!) were under £4. They also do a beer and burger (with a veggie option) deal for £5 and plenty of dinners for under a fiver. AND free refillable coffees costs £1.25! Winning. There’s loads of wetherspoons all over London – it’s a nationwide chain. Due to its cosmopolitan society, London is a fantastic city for world foods. Those backpacking London love to have the chance to sample any type of gloal cuisine. With options from all corners of the globe, you’ll be spoilt for choice! 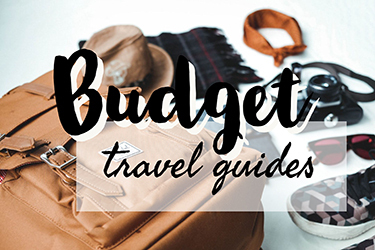 Here’s some of the best budget options for backpackers. Baozi Inn – Nestled in classy Soho, this Asian establishment sells Sichuan noodles, buns and dumplings at budget prices, with noodle bowls from just £4.50. Bibimbap – Also located within Soho, this restaurant serves Korean food, costing from £7 per serving. Brasserie Zedel – This Soho-based French restaurant is a great bargain, costing only £9.95 for two courses on the set menu! Café TPT – located in Chinatown, this establishment serves Nasi Lemak and soup noodles are especially cheap. Hummus Bros – offering delicious hummus with various toppings, Hummus Bros provides fresh, quality food at low prices. Indian YMCA – check out the YMCA for possibly London’s most authentic curry, which is a steal at just £8.50 for the set menu. Koshari Street – mimicking Koshari sellers in Egypt, this takeaway booth serves dishes containing ingredients such as lentils, pasta, vermicelli and rice with chickpeas, tomato sauce and caramelized onion. Lanzhou Noodle Bar – this authentic Covent Garden based Chinese restaurant serves up hand pulled noodles for just £6.50. Market food – check out London’s many markets and get some takeaway food to eat al fresco. Of course, the hands down cheapest way to eat when backpacking London is to buy food and make it at your accomodation. Most hostels offer cooking facilities, and there are lots of small supermarkets in central London – normally mini versions of larger British supermarket chains. If you’re staying a bit further out, it is always cheaper to shop in the bigger supermarkets, and they will have a wider range of products on offer. I’m going to be honest, the cheapest way to drink in London is to buy a bottle of vodka (or gin, if you want to get into the London spirit) at your nearest Sainsbury’s Local, head back to your accommodation, drink said vodka/ gin and then hit the free bars on the town. Obviously, it is more fun to actually drink at some of these bars, so here’s a list of some of the cheapest bars in London and when to make the most of their deals! The Shoreditch – located in – guess where – Shoreditch, this bar has a range of drinks deals. Ruby Blue – nestled in the heart of Leicester Square, this bar has fantastic deals during its happy hour, from 5pm- 8pm Monday to Friday. The Roxy – this bar in Tottenham Court Road has great happy hour deals. Bar Rumba – if you’re searching for somewhere for cheap drinks a little later on, this bar on Shaftesbury Avenue has a happy hour until midnight from Monday to Thursday. The Grand – this live music venue, located in Clapham, has a BOGOF offer on drinks until 11pm Friday and Saturday. Adam & Eve Hackney – beer and wine are mega cheap in this establishment – just £3 until 8pm weekdays and 4pm on weekends! Bar Elba – this rooftop bar in Waterloo has an impressive view over the city – which is almost as impressive as its 2 for 1 cocktail offer, from 5-7 pm. The Warwick – this soho based pub is well known as the best value watering hole in the area, with some of the best rates on all types of drinks. These are generally free to enter (unless there’s something special going on!) and have cheap drinks. There’s branches all over London, so just do a quick Google search to find your nearest! If you head out early, you’ll be able to take advantage of cheap happy hour deals and enter some bars for free or a lot cheaper. There are many more cheap deals on the weeknights – and if you head out in the student-y areas of London it will be busy. Hostel bars often have cheaper drinks than elsewhere in London – and guests generally get money off. If you want to go to an event in London, buy your ticket as soon as they come out, when tickets are cheapest. If you’re done with the big smoke, you might want to see some of the other best places you can visit from London on your backpacking trip. As the capital enjoys great transport links, many places in the south and midlands can be visited in just a day from London. All of these spots are under 2 and a half hours from Central London. Note: if you’re booking trains or coaches, it is always cheaper to book them in advance – so I’d recommend organising your day trips early and booking them as soon as you know your itinerary. There are links to my preferred booking sites below – cheap coach prices can be found by booking National Express and Megabus directly, but for trains I always find The Trainline to have some great discounts – they offer up to 43% off the price that you’ll pay at the station on the day! The oldest and largest lived in castle in the world, Windsor Castle is the Queen’s weekend residence. It is currently most famous for being the site of Prince Harry and Meghan Markle’s wedding in May 2018, but the castle has 900 years of intriguing history waiting to be tapped into on a day trip from London. The castle has been the home of 39 kings and queens of England and Britain, and its history spans back to the 11th century, when it was founded by William the Conqueror. Highlights include the State Rooms, which were designed by Charles II in the 17th century and form the centre of the castle, Queen Mary’s Dolls House which recreates a 1920s home in extraordinary detail on a scale of 1:12, the Semi-State Rooms which were private apartments created by George IV, the lavish Grand Reception Room and St George’s Chapel, which is where Harry and Meghan will tie the knot. To reach Windsor Castle, take a Green Line coach service from Victoria to the castle, or a train from Waterloo to Windsor Riverside. Visit the UK’s most notorious former King’s historic home at Hampton Court. Henry VIII resided in this building from 1529 until his death in 1547. It was the setting of many notable events during Henry VIII’s reign and afterwards; his son, Edward, was born there and his daughter ended up honeymooning there. Visitors can enjoy visiting ‘two palaces in one’ the Tudor architecture on one side and a Baroque-style building on the other, see the impressive state rooms and peruse the Tudor kitchens. Henry VIII’s reign was a dynamic time in British history – an era that is taught constantly in British schools as one that shaped the nation. This history really comes to life in a day trip to Hampton Court. To reach Hampton Court, take a train from Waterloo to Hampton Court Station. It is in zone 6 of London, meaning that your Oyster card will get you out there at a reduced fare. Arguably Britain’s most storybook city, Bath is just over two hours from London by coach. Beautiful Bath has its renowned Roman baths which give the town its name, as well as quaint Georgian architecture, an abundance of museums and a modern Thermae Spa. Its imposing cathedral is where the first king of all of England was crowned, and the restaurants and bars lining the Bath segment of the River Avon look out onto the beautiful Wier. Take the National Express to Bath for return fees starting at around 20 (prices range) or enjoy a faster journey by taking the train. Prices start at around 30 when booking in advance using the trainline. Britain’s favourite seaside city, Brighton is a quirky place with lots of fun attractions. Brighton Pier is one of the best of its kind in the world, with funfair games, seaside stalls and even a loop the loop rollercoaster! The beach is pebbly, but still popular in the summer, and the Regency architecture lining the seafront gives the town a historic air. Further inland, there’s the Lanes – which are small shopping streets lined with one-of-a-kind stores and restaurants – and the beautiful Brighton Pavilion, which was a seaside palace for King George IV, and was inspired by Chinese and Indian architecture. Visit Brighton by taking the National Express – prices can be under £15 return – or pay around £30 to return on train by booking in advance using The Trainline. I lived in Bristol for five years of my adult life, and I’m so besotted with the city. It’s got the perfect mix of old and new, with the old town still using its medieval layout, but with funky cafes, vintage shops and street art adorning the streets of inner city neighbourhood, Stokes Croft. Just up the road from Stokes Croft is Gloucester Road, Britain’s longest line of independent shops. Then there’s Clifton, with its iconic suspension bridge and charming Georgian buildings. And the charming waterfront of Bristol is the perfect place to grab a drink and watch the boats come in; it’s wonderfully serene for a city centre, yet somehow you never run out of things to do. Museums, art galleries, and more are at your fingertips – and it’s a short drive to some of Britain’s most spectacular countryside. What’s more? It’s just over 2 hours by road and under 2 hours by train from London. The cheapest way to reach Bristol is to take the National Express or Megabus from Victoria coach station. The Megabus is normally cheaper, but National Express is more frequent and sometimes has deals. If you want a comfortable train journey, you can reach Bristol Temple Meads Station in 1 hour 47 minutes from London Paddington – check out The Trainline for the best deals. Most famous for its prestigious university – it dates back from 1096 – and along with Cambridge, is considered the best university in the UK – the quaint city of Oxford is also home to various museums, the covered market, and some incredibly interesting historic pubs that have been frequented by novelists and other notable characters throughout the past. Some date back from the 13th century! But of course, you can’t visit Oxford without touring some of its university campuses – 38 are spread out through the centre, and you can self-tour or take a guided tour around many of them. Christ Church is possibly the most famous; its courtyard was used in Harry Potter as the Hogwarts courtyard. The cheapest way to reach Oxford from London is to take the Oxford Tube, which takes about an hour and a half and costs £19 return for over 26s and £15 return for 16-26s. And you don’t have to worry about making the last one home – they run all night. Alternatively, train tickets are sometimes very cheap. Check the Trainline and book in advance. A city to rival Oxford, Cambridge is also incredibly picturesque and steeped in history. Tour on of its 31 colleges, all of which have their own tale to tell about the establishment of the university – which has been in action since 1209. Once you’re fully educated, take to the river – Cambridge is famous for punting and you can take part in a tour – or enjoy being in the city, experiencing the museums and cafes and restaurants. You can also visit some Pink Floyd sights – as Cambridge was the birthplace for some members of the band. You can take a National Express to reach Cambridge, which takes under an hour and starts from just £3. Just over an hour from London is one of Britain’s most historically significant cities. Made famous way back in 1170 by the martyr Thomas Beckett, is one of the most visited cities in the UK. The UNESCO world heritage site in the centre comprise of its cathedral, St Augustine’s Abbey and St Martin’s Church. If you want to experience Medieval England, the Canterbury Tales attraction re-enacts Chaucer’s famous literary work that was set during this time. Otherwise, spend some time soaking in the gorgeous buildings and historic houses, dining at one of the independent cafes and restaurants, and browsing the unique gift shops. If you want to head to the seaside from Canterbury, Herne Bay and Whitstable are both just a 3xf0-40 minute bus ride away. Take the 007 bus from London to reach Canterbury; it takes about an hour and prices start from just £5. A building steeped in history, and a very accessible day trip from London is Hever Castle, the childhood home of one of Britain’s most learned about historical characters – Anne Boleyn. She was the favourite/ least favourite wife of Henry VIII (he was rumoured to love her more than anyone else, but ya know, he did chop her head off) and rooms in the castle have been replicated to resemble how they were in Tudor times – Henry VIII’s quarters and all. There are statues, original books for the time and more on exhibition, as well as beautiful gardens that were created by William Waldorf Astor in the early 20th century. There’s also a maze and a water maze! Head to Hever Castle on the train. From London Victoria or London Bridge travel to Edenbridge Town Station – you’ll have to change at East Croydon or Oxted. It is then three miles to the castle – of course, you could walk it, but there are also plenty of taxis. Unfortunately there is no bus service to the castle. Anyone who knows me will be in shock that I’ve put Bromley, my home town, here – all I do is complain about it. And if you get off the train at Bromley station and take a look around the high street, you’ll never trust travel tips from me again. But I’m talking about the London Borough as a whole, not the grotty town centre – and there are a couple of great attractions within the borough itself that make it an easy day trip from London. You can tour all of it on your oyster card, so it’s a cheap way to get out of the city centre and see something different. These caves are fascinating – they have been around since Druid times and they’ve had a significance for many groups of people over the centuries. First used as a mine, then most notably London’s biggest air raid shelter in WWII where they housed 15,000 people and had services such as a hospital, bank, shops and a citizen advice bureau (underground – seriously! ), and then as a concert venue where the likes of David Bowie (who’s a Bromley boy, by the way), Led Zeppelin, Pink Floyd and The Who graced the stage; these caves have seen a lot – and an hour’s tour will tell you all of these stories and more. To reach the caves take a train from Charing Cross, Waterloo or London Bridge to Chislehurst (which is within oyster zones) and it’s a short walk from there. Tours cost £6. I moan about my hometown, but we’ve had some pretty cool past residents. Down House was the home of Charles Darwin! Visit his former house to learn all about his theory of evolution and see some remnants that inspired his school of thought that is still revered world-wide today. It costs £12 to enter the house. To reach Down House, take a train from London Victoria to Bromley South and then the 146 bus to the village of Downe. I wouldn’t recommend car hire while you’re staying in London – it’s not a city you want to drive around at all. I’ve lived in London most of my life and I have never been in a car in the centre. However, if you’re wanting to explore other places in the UK after seeing London, a car makes exploring a lot easier. 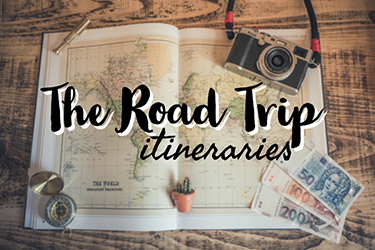 If you’re thinking of doing an England or UK road trip, having your own vehicle is perfect and will enable you to see some of the best national parks and smaller towns in the UK. When packing your case for London, be prepared for all weather eventualities. The weather in London rarely goes below freezing in the winter and only goes over 25 in the spring/ summer a few times a year. Rain can and does happen year-round, so make sure you have good waterproof gear! A hat, scarf and gloves, if you’re visiting in winter. Good quality shoes – you’ll be walking around a lot in London! Refillable water bottle – tap water is safe to drink all over London. Good quality camera for your travel photos. I recommend the Fujifilm X-A3. Reusable tupperware – this is great for taking lunch out with you or buying items from markets – using tupperware helps to reduce weight and save money! If you’re staying in a hostel, an eyemask and earplugs are essentials for a good night sleep. A robust day pack – you’ll probably always be going out for the whole day, so it’s good to have a strong and roomy bag to fit everything in. Tote bags for shopping – the UK is really making an effort to cut down on plastic. Taking a tote bag shopping with you means you don’t have to pay for single use plastic bags, which wreck the environment! I hope this London backpacking guide was useful. Do you have any comments or questions? Let me know over on Facebook! If you liked this article, please share it to show more people how London budget travel is entirely possible!